Business and technology are moving so fast that you will be passed by if you stand still. Learning is essential; no one can afford to stagnate. At the same time, most of us already feel that we don’t have time or money to spare—and our professional development falls by the way side. Nevertheless, you can learn in small bites, at times of your choosing, for little money, if needed. Wasted time can become learning time with mobile and online resources. Whether you want to stay fresh and grow in your current position or aspire to something different, professional training and development help you and your boss stay satisfied. Develop a five-year personal development plan; review and adjust it every year. Many of us create a development plan during the yearly review process. Certainly this can be a part of your career plan, but it should not be a substitute for a comprehensive career plan. Be thoughtful about the type of training and development that will be best for you. Ask yourself what the accepted standard in the field is, how you learn best, and what skills you want to cultivate. A live conference is an immersive experience and has the added benefit of expanding your professional network. 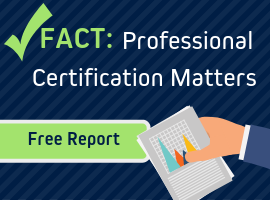 A professional credential puts you in the same league as those who have their MBA, CMP, CPM or CPA. Online courses save travel time and can be completed regularly throughout the year. The American Society of Administrative Professionals (ASAP) is free to join and gives you access to a prestigious annual event attended by admins and assistant around the globe: the Administrative Professionals Conference and Executive Assistants’ Summit; offers the PACE self-study certification at a reasonable cost as well as a library of webinars for admins and assistants. Be ready to justify your requests. Training and travel budgets can be tight at work—neither are personal money and time unlimited. Make a case for the training you seek; demonstrate that you have thought through the benefits of what you are requesting. If you have spent time and money of your own in development—let that be known. Be able to describe the training you request in detail, what it includes and how it compares to other events or courses. Choose a good time for your boss to make the request and decide whether to present it verbally or whether your boss will appreciate a written request. Articulate the need and benefits expected. What are the take-aways you expect, how will your manager and organization benefit? After thee training be sure to document what you have learned and how you have executed new learning and ideas to save time or money or improve efficiency. ASAP has created a justification tool that you can use for building a business case for your attendance. You’ll find samples of other training requests online. Your career path won’t be linear but will probably resemble a maze. Moving "up" is not the only or best way for careers. Training can provide a solid foundation of transferable skills as well as the specialized learning needed to take on specific responsibilities. 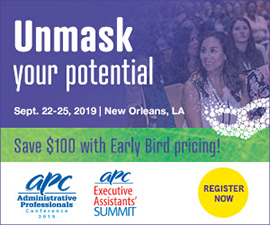 This year’s APC event will have speakers and sessions focused on providing a broad array of training sessions that can be tailored to meet your specific needs PLUS networking and learning opportunities with your peers. Make your case today!